A reader with a Mormon background asked me to elaborate on teachings on Christ and the atonement. He is concerned about the great difference in approach between the new age community and standard religious people. Is there some unifying truth to be gleamed here? 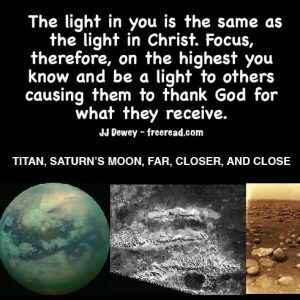 This is an important question, for the belief or non belief in the Atonement of Christ as well as the scriptures in general has created a great chasm between those of New Age leanings and scriptural faith. It is interesting to watch a debate between a new ager and a born againer. The born againer will quote scripture after scripture to back up his beliefs and the new ager will smile as if the guy is from the stone ages and preach back his philosophy quoting no authority, but his heart. Consequently, the two are not speaking each other’s language and both go away from the discussion feeling that the other is as far down the enlightenment scale as you can get. One of the problems is that the sincere religious person has felt soul contact while reading the scriptures and because of this is not about to drop his belief in the closest link he has to the Spirit. On the other hand, many new agers have not even read the scriptures, or had them forced upon them while they were young, and do not identify with this feeling. Instead, many of them have received some spiritual contact while reading other books that teach enough truth to draw the inner voice. What the true seeker must realize is that God has spoken to many different people in many different ways and even though the vocabulary and definitions may vary the core truths are the same. (9) And because that I have spoken one word ye need not suppose that I cannot speak another; for my work is not yet finished; neither shall it be until the end of man, neither from that time henceforth and forever. (10) Wherefore, because that ye have a Bible ye need not suppose that it contains all my words; neither need ye suppose that I have not caused more to be written. (11) For I command all men, both in the east and in the west, and in the north, and in the south, and in the islands of the sea, that they shall write the words which I speak unto them; for out of the books which shall be written I will judge the world, every man according to their works, according to that which is written. Now here is an interesting question for the Mormons, who of course accept the above words from the Book of Mormon. God here says he will “also speak to all nations of the earth and they shall write it.” General Christianity believe that God spoke to prophets of one nation, and a past nation at that – ancient Palestine. The Mormons go a step further and they have scriptures from basically two nations past – America and Palestine. On the other hand, the Book of Mormon teaches that God will speak to “all nations.” All nations are definitely more than two. The answer is quite simple. Every people of every nation has available sacred writings containing truths geared for the “salvation” of the people to whom they were given. These writings can range from the sacred teachings of the Hopi Indians to the Koran of Islam, to the Bavagad Gita, to the ancient Vedas to the writings of Confucius, to the sayings of Buddha to name a few. Thus those people who do not have the Christian scriptures, but have other words of God, will be judged by those words that are accepted by their own peoples. So what does it mean to be called Jesus Christ? As we stated before this name means “anointed to deliver.” Jesus did not intend to keep the name just for himself, but advised all of his followers to take the name upon themselves. All enlightened Souls are anointed to deliver those of a lower vibration. When we have been lifted up by someone above us, then it is our mission to lift or deliver others to higher ground also. There is a universal rule which tells us that we cannot go higher until we have given out what we have learned and assisted in lifting our brethren to where we are. When we have done this, then another will come along and lift us to higher ground. This is the principle behind the name of Jesus Christ. To believe on His name is to believe on this principle, that there are higher lives in the Universe waiting to help deliver, or “save” us when we are ready. This salvation is a mutual effort of the student and teacher. The teacher does not actually do the saving, but provides the tools, example and the knowledge to the student. The student then has the choice to use those tools to take the next step or to stay where he is for a while longer. If he takes the next step he is “saved” from his past moves into a bold new future. Answer: You do not look for the sound “Jesus Christ.” If you were transported back 2000 years ago to ancient Palestine and asked for Jesus Christ even the apostles would not recognize the sound for the name then was pronounced something like Yaysoos Christos. What you look for in the ancient writings is the meaning behind the name and you will find that the concept of the higher lending a helping hand to the lesser evolved or less fortunate is a principle taught in all sacred text and where this is taught the name of Jesus Christ stirs within the souls of men. Those with greater knowledge and power lending a helping hand to those with less knowledge and power is the principle behind the name of Jesus Christ and is the principle of eternal salvation. (Joseph Smith called it Eternal Progression.) One must pass along the knowledge that he receives before he will be given more. If you keep it welled up within you or “hide your talent buried in the earth” you will be damned. In other words, if you do not give out the light you have your channels of reception will be dammed up until cut off from the spiritual flow. Christ was the greatest teacher and example of helping his brethren, and being “anointed to deliver,” but it is the principle we must look to and not the man. I’ll make more comments on the atonement later.